Applies crepe paper to top of bag. The already reshaped bag is introduced into the infeed, the bag’s top is trimmed. At the end of the process, the chain/tape is cut by the pneumatic clipper knife of the sewing head. This unit applies crepe paper to the top of the bag to prevent sifting of the product and for presentation purposes. MUA system is ready for tape or chain sewing. 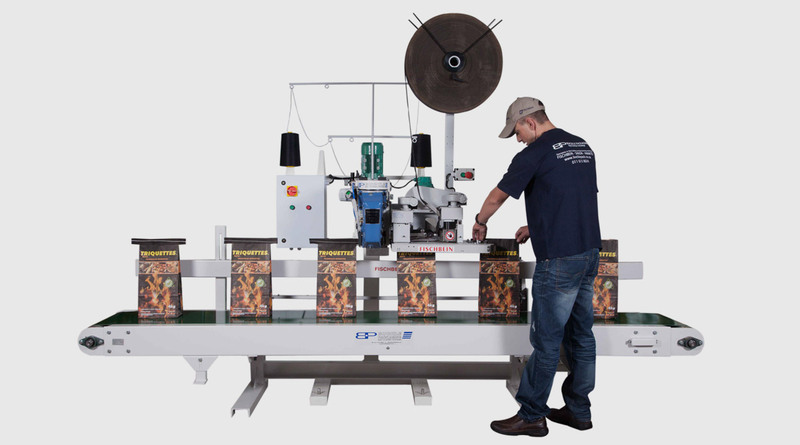 The already reshaped bag is introduced into the power driven infeed where the bag’s top is trimmed. The sewing process starts when the photo sensor detects the bag. At the end of the process, the chain/tape is cut by the pneumatic clipper knife of the Fischbein 101/201 sewing head. This unit applies crepe paper to the top of the bag to prevent sifting of the product and for presentation purposes. To close “open mouth” bags made of paper, laminated polypropylene or polyethylene. Ideal for charcoal and various powder products. Sewing with crepe paper tape on large jumbo rolls available in various width and colours with minimum order quantities. These systems are ready for tape or chain sewing. 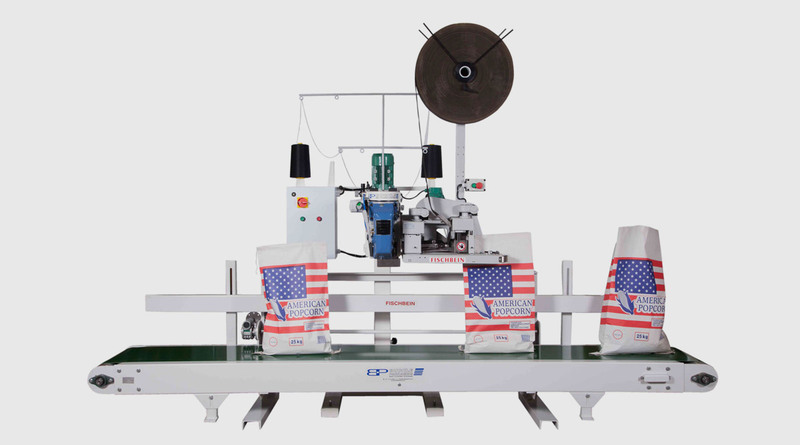 The already reshaped bag is introduced into the power driven infeed where the bag’s top is trimmed. The sewing process starts when the photo sensor detects the bag. At the end of the process, the chain/tape is cut by the pneumatic clipper knife of the Fischbein 101/201 sewing head. These units apply crepe paper to the top of the bag to prevent sifting of the product and for presentation purposes.